Have you ever had one of those moments where you realize how lucky you really are? I was talking to my dad on the phone yesterday about random topics, mostly about how I’m feeling and what I’ve been up to. 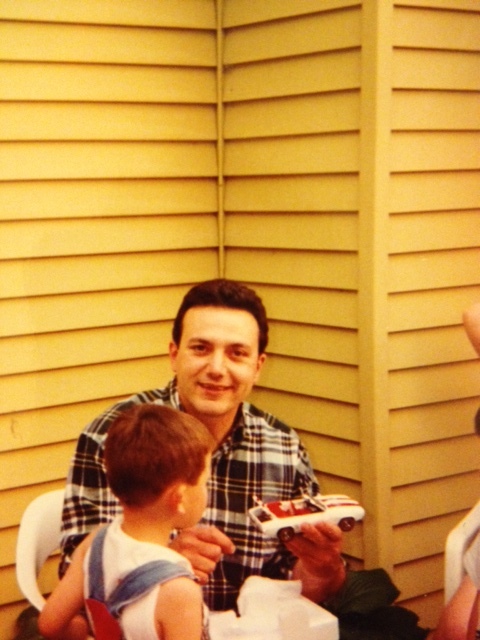 Here’s the quick back story: My dad is the youngest of four boys, and he and my Uncle Angelo are only a year apart in age (and both are about 15 years old in maturity, but that’s another story). Uncle Angelo. See what I mean? Anyway, they each had three kids, and we spent a lot of time together growing up. By coincidence, four of the six of us are pregnant and due within two months of one another. Christmas will be very exciting this year. And loud. Back to my point… apparently, things are not going so well for the other three (edited to add: I spoke with one of my cousins on the phone and she is feeling good now, so 2 out of 4 are having a hard time). 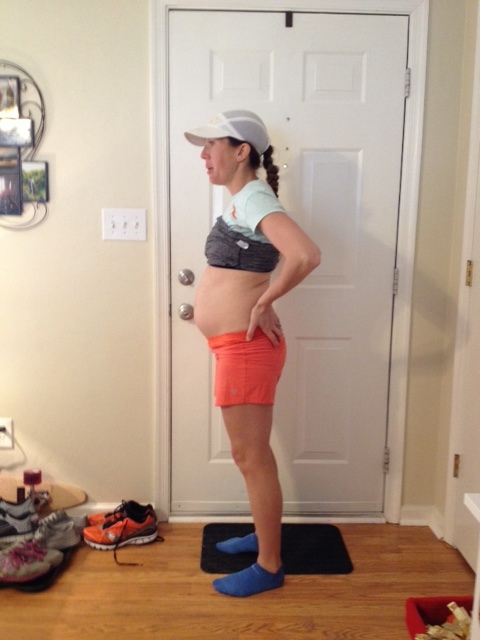 I was feeling sorry for myself for slowing down in the last few miles of my run yesterday until I heard that my sister and my cousins are having difficult pregnancies. So, I guess I will have to work on appreciating a relatively easy pregnancy thus far. This past month has been pretty close to spectacular (Outkast reference if anyone got that). I ran 106 miles for the month of April, and finally got out of my weekend-only running rut. The Cherry Blossom 10 Mile Run kicked things off nicely, and I’ve been able to complete a 10 mile run every week since, in addition to a few shorter runs. We’ve also been blessed with actual spring weather in Virginia (usually we jump from tights-and-gloves weather to dripping-hot-sports-bra weather). Weight gain has been holding steady for the past few weeks. I’m at 142.6 currently, up 16 pounds from my starting weight. I’ve only gained 3.5 in the past 6 weeks, despite feeling like I’m constantly eating. I think the extra runs have helped my weight gain slow a bit. 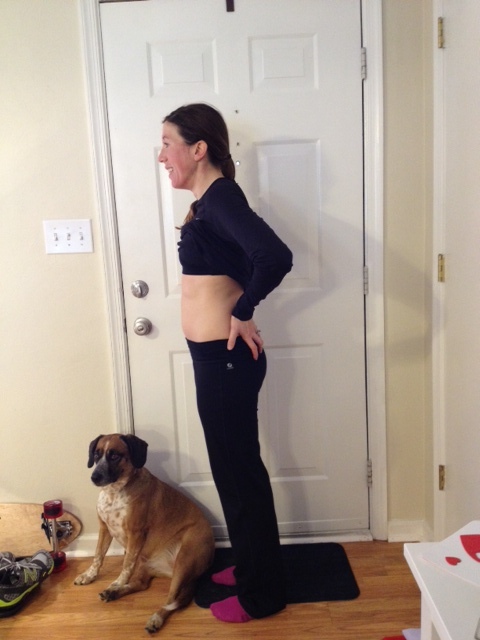 23.5 weeks at 142.6… Hello bump! Side note: I am loving the Oiselle Winona tank and Game Day shorts. I ordered up one size (I usually order smalls but went up to mediums) and they are literally perfect maternity running clothes. I have a few different colors, and I sometimes layer with 50/50 tees or a long sleeve if necessary. So, what’s next? I have two more races planned, the 2nd annual S.M.I.L.E. 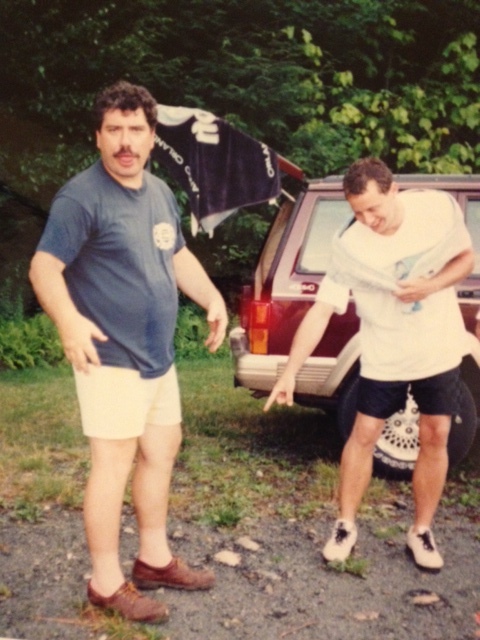 5k on May 18, and the Old Kinderhook 5k in Kinderhook, NY on June 8. The former is a race I won last year, a small charity race at Mount Trashmore in Virginia Beach. The latter is one of my favorite 5ks (I happen to be the course record holder too at 16:37), and is also the same day as my baby shower in New York. After that, it’ll be easy easy running until after the baby arrives! What do you have to be grateful for? You can go ahead and brag, I won’t judge! Thanks Paulette! It nice to have comfy, cute clothes to wear… makes me actually excited to go out and run! I feel the same way! I’m trying to not get ahead of myself, but I keep thinking of all these silly things (mostly running related) that don’t truly matter. We’re all a work in progress! Anyway, exciting things ahead… Thanks Jen! Thanks Hollie. I’m kind of pathetic at blogging, but there’s not much to write about these days besides “hey I’m still getting fatter and slower”. Glad you’re moving back to VA so you can thaw out. Best of luck with moving (and especially packing)… I’ve done it so many times, so I feel your pain. See you around!